The full and detailed views of the German translation of The Ghostway, published by Rowohlt as part of their thriller series. 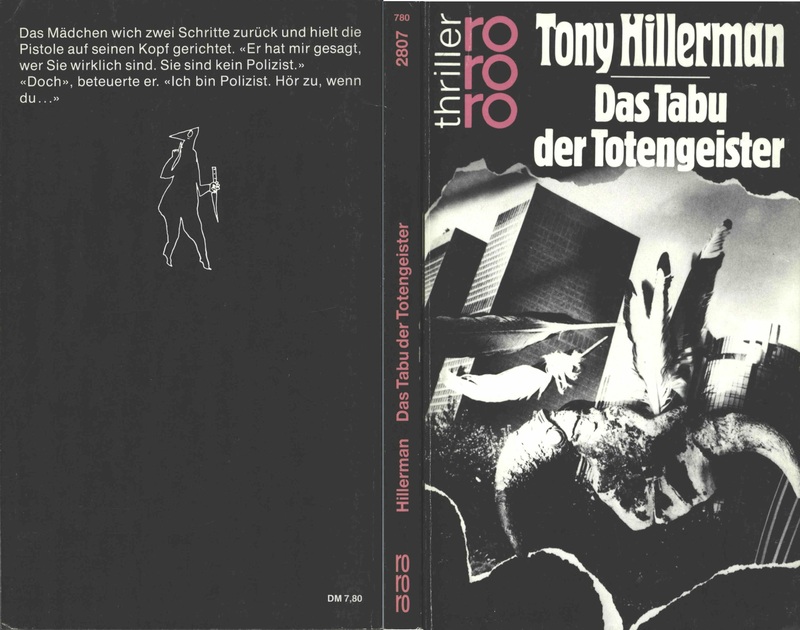 This edition is similar to Rowohlt's non-thriller series edition; however, it has a different cover and some slightly different front matter. The title translates as "Taboo of the Spirits (or Ghosts) of the Dead." 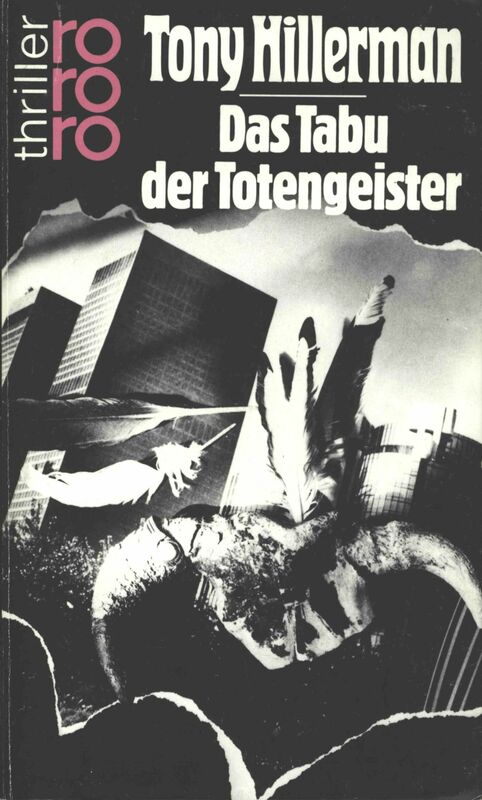 The cover, designed by Manfred Waller, consists of a photo-collage of skyscrapers, a buffalo skull and feathers. The text was translated by Klaus Fröba.